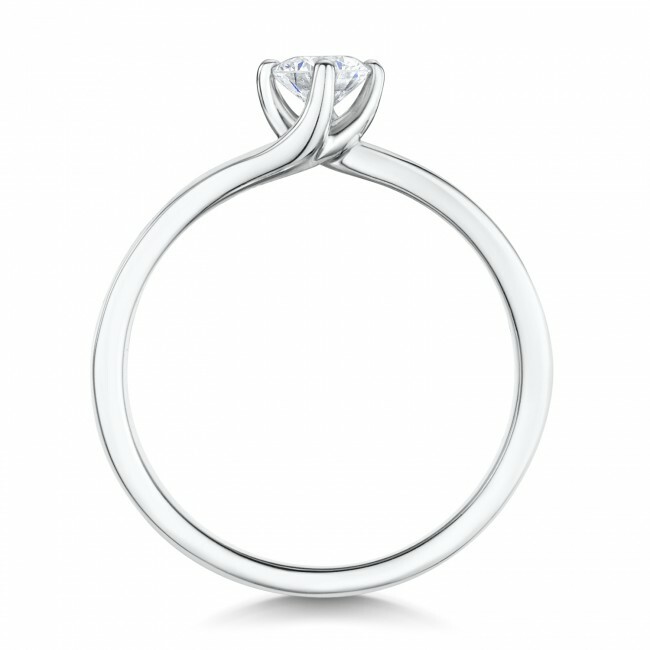 18ct White Gold diamond channel set solitaire set in a twist design featuring a 0.30ct Brilliant-cut centre stone. 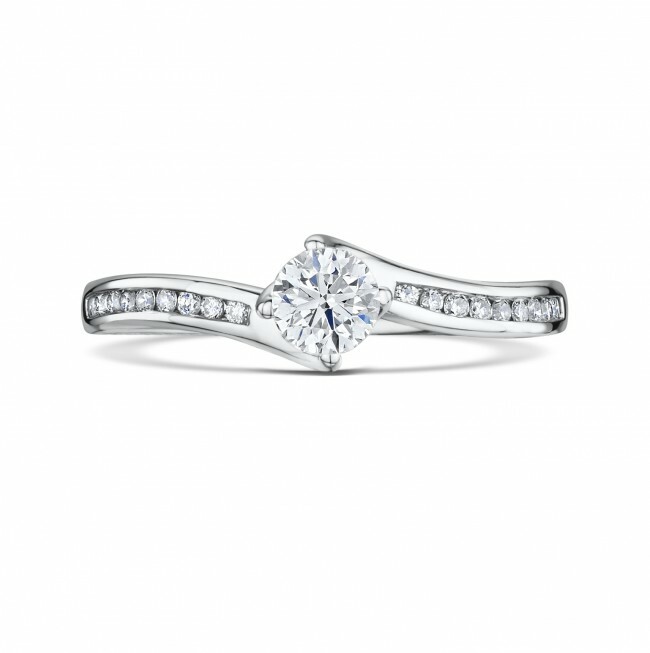 Ring is set with 0.13ct small diamonds set into the band. Diamond quality is H Si.